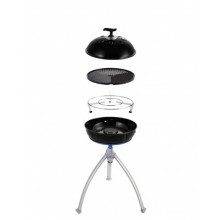 Cadac Barbecues are the most innovative BBQs on the market today. 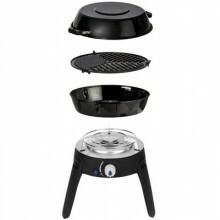 Unlike all other BBQs, Cadac models work with a modular cooking system. 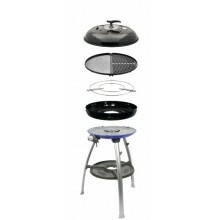 Simply remove a cooking surface and replace it with a different type. 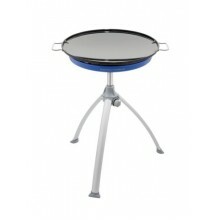 From Solid Griddle Plates, Baking Stones, Roasting Pans, to Teppanyaki Plates. 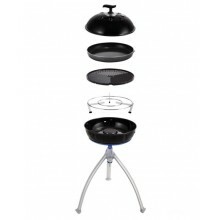 Cadac are constantly creating different ways of making al fresco dining fresh and different. 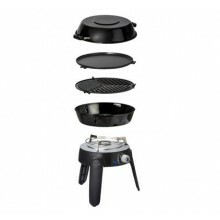 Starting with compact camping models such as the Safari Chef, to the awesome Braaimaxx model. 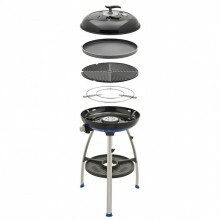 No matter which model you look at, different modules are available to make your outdoor entertaining the talk of the town. Order online or call 01483 760750. We are always happy to advise.